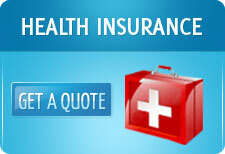 Online Insurance Quotes in India: Family Floater Health Insurance : Is it the best choice always? Family Floater Health Insurance : Is it the best choice always? The primary advantage that a family floater provides is that all the members can be insured through a common, mini group health policy rather than individual policy. The premium paid is less than what it could cost if each of the members were to buy a policy, and also administratively it is simpler to maintain than managing 4 or 5 policies, as the case may be. However, a big disadvantage of this health policy is if one member needs to draw down the entire sum in one policy year- in that case, the other members are effectively going without a health insurance cover. Here’s an example of a family of 4 members-father, mother, son and daughter. Let us see how the individual and family floater plans work for them. 1). If one takes a family floater policy of Rs 5Lakh or if one takes an individual policy of Rs 3Lakh each for each of the family members. Now if the father falls ill and gets hospitalized and the hospitalization expenditure is Rs 4lakh then in the family floater plan the entire sum would be payable while in the individual plan only Rs 3lakh would be payable. 2). If the individual policies were also of Rs 5Lakh each then there would not have been any impact on the claims but the overall cover would have been much higher. Let us say, apart from the father who fell ill and incurred expenses of Rs 4lakh, the mother was also hospitalized and incurred an expenditure of Rs 3 Lakh. In this case, the family floater plan would have paid them only Rs 5lakh while the individual plans of Rs 5Lakh each would have covered the entire expenses of Rs 7 lakh on both the father & the mother. Of course the total premium paid would be higher in the case of the individual health plans. In a family floater plan, along with the issue of cover, another factor that comes in sometime is that when the primary insured member reached the maximum age of renewability or if he/she dies, the whole policy gets closed and cannot be renewed even by the family members who are younger and who survive. They have to buy a fresh policy which they may or may not get. Also, once the children reach the ages of 21-25, they cannot be the part of family floater. They have to buy a new policy which they may or may not get. In case of any of the conditions above the family may be left uninsured for any risk arising out of hospitalization and getting insurance at a higher age may not be possible due to various health conditions that may have come up in that duration. In the final analysis, a family floater health insurance is a convenient mini group policy, but in certain extreme cases might prove to be inadequate.